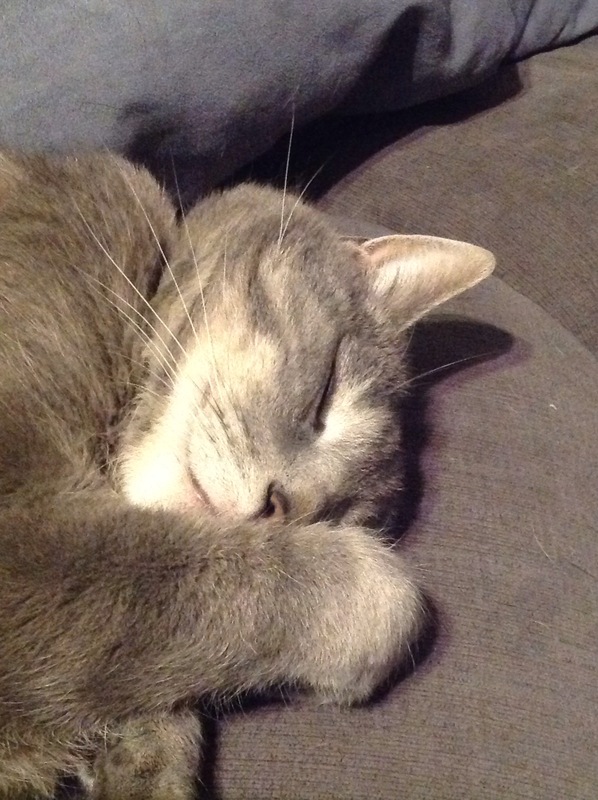 As mentioned in a previous post, our 10-year-old cat Milo was recently diagnosed with feline diabetes. Within one week we had Milo on a low to no carb diet as well as injectable insulin. His blood sugar levels were high enough the vet decided his dosage of insulin should be two units two times per day. Daily blood sugar monitoring enabled us to track his reaction to the insulin. I started Milo on Young Again Zero Cat Food (canned cat food with zero carbs was also used) as soon as I received it in the mail. It was expensive but the reviews showed astonishing outcomes with many diabetic cats. Due to the zero soluble carbohydrates in this particular cat food we knew we had to closely watch Milo’s glucose levels. Initially, a two unit insulin dosage would only drop blood sugar levels by 100 or 120 points. Over the course of two weeks we noticed the points gap widen even further. His blood sugar levels with the two unit dosage would drop over 200 points. Taking him from a mid-300 mg/dl level down to a low 100 mg/dl level. Great numbers but too dangerous to dose him twice daily at the 2 unit level. A 102 mg/dl level prior to eating could kill him as his diet was so low in carbs! Because we were heading out on vacation and had someone caring for Milo we felt it best to reduce his insulin. I feared leaving him at such a high dose would put him in a position of critically low blood sugar. Not exactly a situation you want for your kitty or the caretaker. He went a full week with 1 unit or less dosing and survived to continue on. Now that we are home we are furthering progress and have been giving insulin on an average of one unit once per day. Every so often we have to bump it up a half unit so I have a feeling we will soon switch to a twice daily one unit dose. From the literature I’ve read, the regulation phase can take months. I’m still hoping for remission but that could take months or never happen at all. This has been quite the learning experience and I will keep sharing more as I learn. 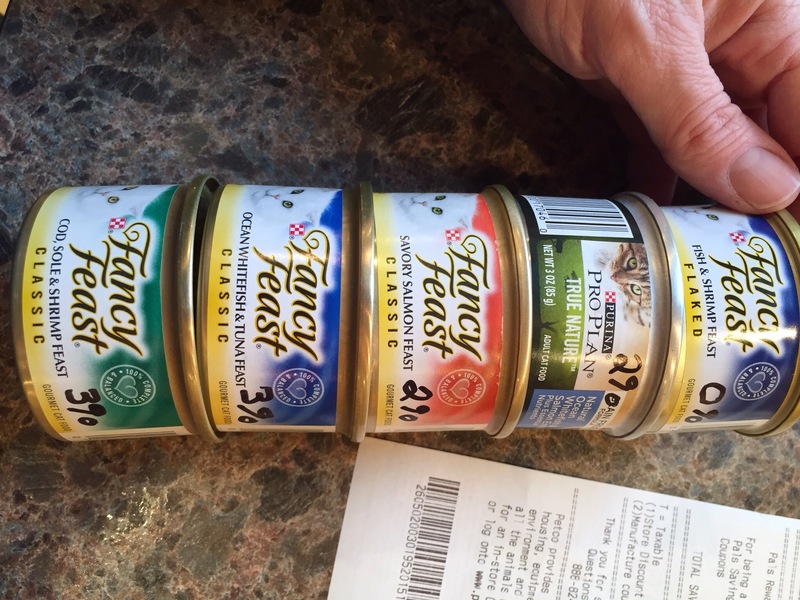 Below you can see some of the low carb canned foods which are readily available at any grocery or pet store (0-3% carbs).